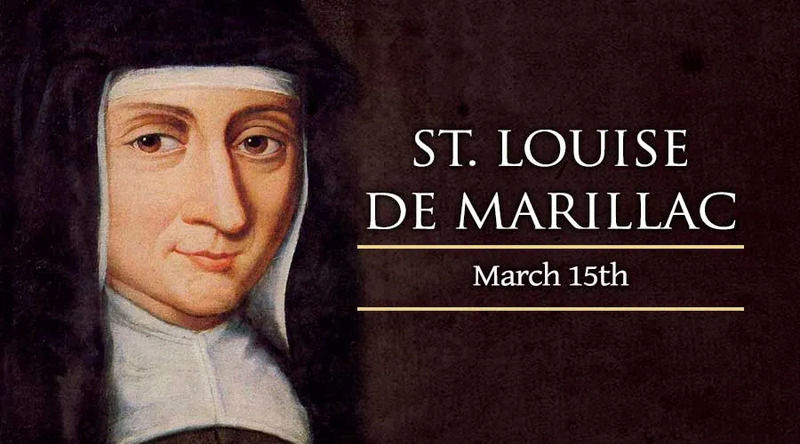 St. Louise de Marillac was born on August 15, 1591 near the town of Meux, France. Louise received an education from the Dominican convent at Poissy and eventually discerned that she was called to religious life. After consulting her confessor concerning her plans to enter the religious life, Louise decided not to pursue this vocation. Instead, in 1613, she married Antony LeGras. Antony died in 1625 and Louise again began to think about joining a religious community. Soon after the death of her husband, Louise met St. Vincent de Paul and began to use him as a spiritual director. With his encouragement and direction, Louise formed a group of women dedicated to serving the sick, the poor and the neglected. In 1642, Louise wrote the formal Rule for the Daughters of Charity and in 1655 they received formal approval from the Vatican. After forming the Rule for the Daughters of Charity, Louise traveled around France forming convents and instituting the Daughters as workers in hospitals, orphanages and other institutions dedicated to helping the neglected. Louise worked zealously until her death in Paris in the year 1660. She was canonized by Pope Pius XI in 1934 and was declared patroness of social workers in 1960.